While Western media continue to praise Serbian President Aleksandar Vučić for starting an internal Serbian dialogue about Kosovo, calling him “the Serbian Willy Brandt”, the clever former Milošević information minister opens up a new front line of tension in the much suffered region of the Western Balkans. First of all, the dialogue about Kosovo is not going at all in the direction that would appeal to the EU. 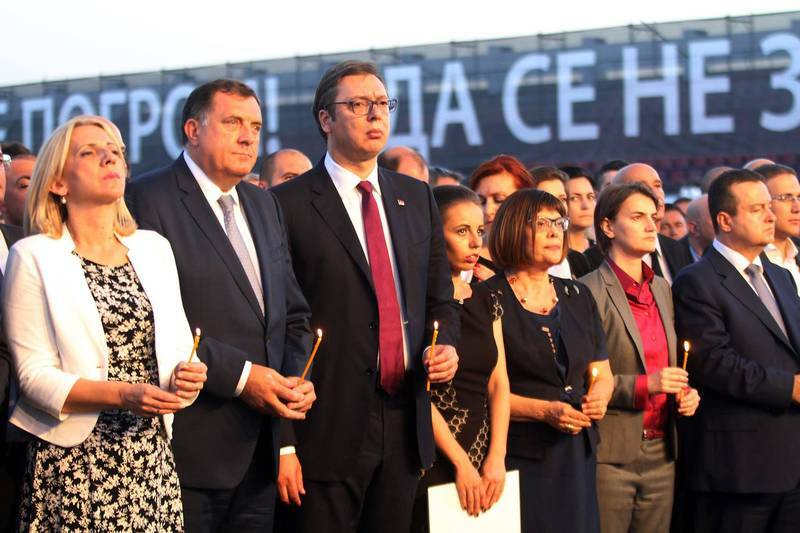 In his invitation to Serbian society to conduct this dialogue, Aleksandar Vučić called on the Serbs to pull their heads out of the sand, which, by the way, were buried even deeper over the past five years thanks to Vučić and his Serbian Progressive Party (SNS), and look the realities in the eye. But what are the realities, according to Vučić? From the mouth of his closest allies, it can be concluded that recognition of Kosovo is not an option. Vučić claims to already have a plan, but will not present it until this dialogue is over. How generous and democratic! First Deputy Prime Minister and Foreign Minister Ivica Dačić, a former spokesman for Slobodan Milošević, proposed Kosovo to be divided on an ethnic basis, which was met with criticism by part of the opposition in Serbia, the countries in the region, and analysts. The biggest concern is that it will open the Pandora’s box and begin a new redrawing of borders in the Balkans, known as Europe’s gunpowder keg. Aleksandar Vučić supports the idea of ​​the leader of the Socialists and his loyal ally. In one of his frequent lengthy interviews – of type monologue – Mr Vučić said that certain media (implying the few remaining out of his control) have shown signs of neurosis over Mr Dačić ‘s statement, such as they have not demonstrated with regard to ideas Kosovo “to be given to the Albanians” or to preserve the status quo. Even before the real dialogue began, which is with an unclear shape or form yet, the Serbian head of state has said that there are currently no conditions for a change of the Constitution (that is, recognition), which of course means a delay on the way to the EU. At the same time, Albanian Prime Minister Edi Rama supports the efforts of Aleksandar Vučić, whom he named his friend. In an interview [in Serbian] for the Serbian semi-tabloid Blic, eccentric Edi Rama does not spare praise for Vučić’s text on the internal Serbian dialogue and said it would not be bad for such a dialogue to take place in Kosovo itself, as well as in Albania. He believes the ultimate goal should be full recognition of Kosovo. At the same time, however, Mr Rama places himself in the shoes of the Serbian president. He did not explicitly reject the idea of ​​partitioning Kosovo, but said it was not a good idea to start with that. “It does not help us to start from there, though I could conclude that this is an unusual proposal, as is the one, according to which Serbia should be divided and the Preševo valley to unite with Kosovo, or the other one, according to which Kosovo is to unite with Albania and then Serbia is to recognise this Albania, not Kosovo”, says the Albanian prime minister for Blic, which shows what such ideas can lead to. One people, one language, one culture …. What about one country? And while media in Serbia are dealing with the various proposals and ideas, turning the subject of Kosovo into an endless chewing gum, Vučić made his next move by announcing – together with the President of the Serbian entity in Bosnia and Herzegovina, Milorad Dodik – known for his persistent attempts to sabotage the Dayton state and his frequent statements that Republika Srpska should separate from BiH – plans to adopt a legally binding joint declaration on the survival of the Serbs. In the words of Mr Dodik, the intention behind the document is to list all the important elements and activities that need to be carried out in order to protect the Serb nation, increase its state capacities, and protect all Serb communities, regardless of where they are. The latter is the most alarming part of Milorad Dodik’s speech, as it reminds many of the Putin approach to “protect” Russian minorities in neighbouring countries by occupying their territories. According to former Serbian justice minister, and now secretary general to the president, Nikola Selaković, the aim of the declaration is to protect the Serbian nation, language and culture from extinction. Vučić himself was “wondering” what is people’s problem when there is nothing put on paper yet. Instead of calming down the situation, however, he poured more oil into the fire, by falling into worrying pathos in a people-pleasing interview for Pink TV: “Serbia will lift its head and no one will force Serbia’s head anymore, and no one will ruin the pride and dignity of Serbia”. The plans for a declaration were not well accepted in the area. In Montenegro, they already show how much Vučić and Dodik’s intentions are not harmless. New Serbian Democracy party, which is part of a coalition with the Russia-backed Democratic Front, immediately announced that it would be involved in the drafting of the declaration. “We will give our concrete proposals and ideas not only to the situation of the Serbs, but also to the cultural and other forms of Serb unions in all Serbian territories. We, Serbs from Montenegro, belong to a great people, who are obliged to think in bigger and broader categories, and take such stands, which, of course, will not threaten anyone else”, said party MP Jovan Vučurović. His words were harshly welcomed by the ruling Democratic Party of Socialists (DPS) of Milo Đukanović. The controversy has been running for several days in Montenegrin media. 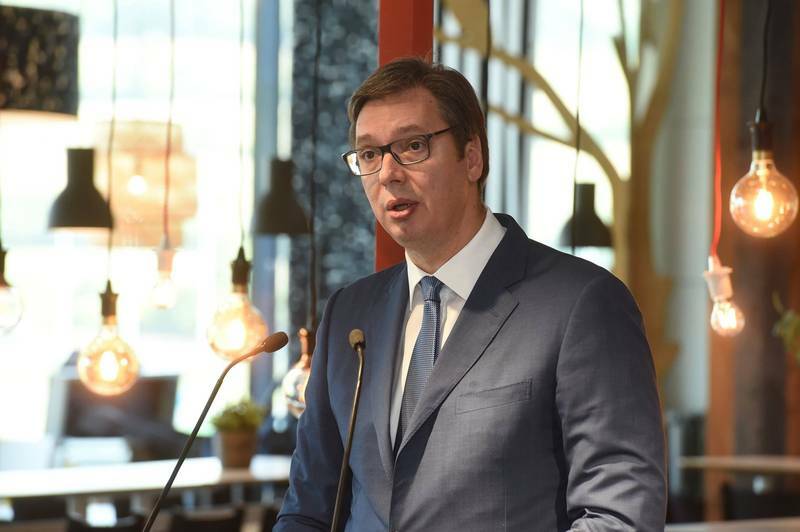 Vučurović claims that the Serbs in Montenegro are second-class people and are in a very difficult situation. Asked to comment on Dodik’s allegations that there is a “genocide of identity” over Serbs being conducted in Montenegro, Vučurović stated that “our people, church, culture, identity are directly threatened and exposed to discrimination, but we have shown toughness and we will not allow anyone to assimilate us by force”. The Democratic Front in Montenegro was firmly opposed to NATO membership. The leader of the Independent Democratic Serb Party (SDSS) in Croatia, Milorad Pupovac, provoked serious controversy in Croatia with a programme text on the situation of Serbs in Croatia, published in the Serbian daily Politika. It is unclear how much this text relates to the plans for a declaration of Vučić and Dodik, but the timing of its publication is a big coincidence. The reactions are rather against the fact that Mr Pupovac prefers to raise the issue through Belgrade media instead of talking directly with his partners. His party supports the ruling coalition, and the opposition agrees that there is still much to be done to improve the situation of minorities in Croatia. However, it is noteworthy that Mr Pupovac has been particularly active lately in raising the issue of the situation of Serbs in Croatia. In a July interview for the Croatian weekly political magazine Globus Pupovac angered many on the Croatian political scene with his claim that Serbs were excluded from all vital issues in society. 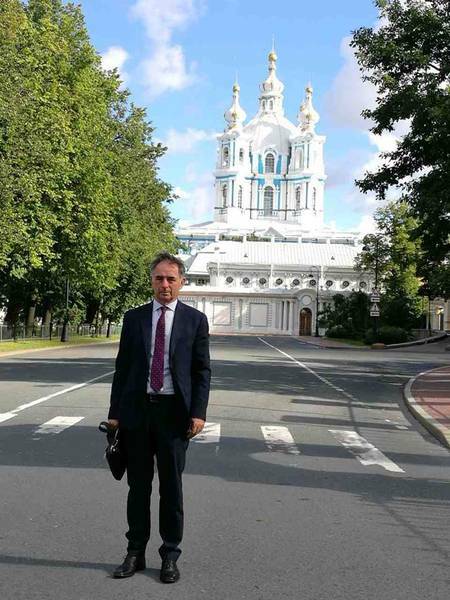 Another curious moment around Mr Pupovac is his visit to Moscow in July. On his Facebook page, he wrote: “The Russian type of interculturality, multi-ethnicity and multi-confessionalism, visible at every step – from the parliament and state institutions to the streets, is impressive.” Milorad Pupovac expressed his regret that little is known about this in Croatia. “Here [in Croatia] we destroy our traces of anti-fascism, and there the five-pointed star and the icon live together. Here we also destroy the last traces of multi-ethnicity, while at the same time we lecture others on how multiethnic societies should look.” Milorad Pupovac has failed to mention that this multiculturalism and multi-ethnicity is not a consequence of the great Russian tolerance, but a heritage of imperial ambitions. The declaration is expected to be adopted in November. So far, no data has been disclosed in the public domain to illustrate the scale of the threat of the Serbs’ “disappearance” as a nation, their language and culture, which are also to be matched to similar processes going on in neighbouring countries so that the correct conclusions about what is happening can be made. According to some analysts, the idea of ​​the declaration aims to divert attention from Kosovo, but given the activation of minority leaders in neighbouring countries, it would be an underestimation to treat it as such a move. It is more likely that Serbia is preparing the ground for a deal – recognising Kosovo against a redrawing of borders in the region. The EU, however, will not agree to this. Serbia is expected to act within current borders, find a solution to the Kosovo issue, work for establishing rule of law and strengthening democracy, fighting corruption and organised crime, good relations with neighbours and, last but not least, separate from the Russian sphere of influence and get closer to the Euro-Atlantic one. Nothing more, nothing less. Inflaming nationalist passions through declarations and dialogues that lead nowhere is an attempt to do nothing of the above. The tactic we have seen plenty of in the last five years. In this sense, it is more correct to look at Vučić through the prism of Putin, than of Willy Brandt. This will save the EU from being put in an embarrassing situation once again because of underestimation of the “partner”. Top 10 Hard Facts About the Holocaust hidden from the public. Put aside decades of propaganda and dogma, examine the facts! Prime Minister Benjamin Naziyahu has said that his Nazi regime felt threatened by Iran’s growing influence in the Middle East. Naziyahu expressed his Iranophobic view in a meeting with Russian President Vladimir Putin in Russia’s Black Sea resort of Sochi on Wednesday. Press TV has asked Scott Rickard, former American intelligence linguist from Tampa, Florida, and Brent Budowsky, a columnist at The Hill from Washington, to give their thoughts on the issue. Rickard said Tel Aviv is concerned about the fact that the regime could not carry out its old project to spread sectarian divisions and pave the way for dismemberment of the countries in the Middle East region because of the Iranian-led resistance against Israeli policies, not only in the occupied territories of Palestine but also in the whole region. “Iran is not a threat to Israel whatsoever. The threat that Israel sees is the fact that their Oded Yinon Plan is being put to a hold by Iran,” the intelligence linguist said on Thursday night. “They (the Israelis) look at Iran as a threat only because they have no influence on their governments and Iran is autonomous and is not under the Zionist influence,” he added. Since the victory of the Islamic Republic of Iran in 1979, Tehran has been critical of Nazi policies in the region, whereas “no leaders [of other states] even dared to speak out against Zionism,” Rickard argued. “Considering Iran a threat in the region is really a fantasy,” which is a propaganda campaign to demonize the Islamic Republic, he said. During the meeting in Sochi, Naziyahu tried to illustrate a negative portrait of Iran’s support for the Syrian government, but Russian Ambassador to the UN Vasily Nebenzya disappointed the Nazi regime by saying that Iran plays a very constructive role in Syria. Rickard went on to say that the ”Israelis are trying to sway public opinion by using false intelligence about the Iranian role in Syria”. The analyst opined that the Nazi regime is “not worried about Iran as much as they are worried about the failure of their effort alongside their allies in trying to topple” the Syrian government. Tel Aviv is afraid of witnessing that “Iran, Russia and Syria have built up a formidable defense” and have shown great resolve and great restraint against being attacked by Nazi regime, he explained. Iran and Russia alongside the Lebanese Hezbollah movement have played a major role in supporting the Syrian armed forces to defeat Saudi Zio-Wahhabi Takfiri terrorists and foiling a US-Nazi plot to partition Syria. Nazi regime, which has been reportedly aiding and abetting terrorist groups to topple the government in Damascus, considers Iran’s support for President Bashar al-Assad’s fight against the spread of terrorism a threat to its intervention. Imprisoned Palestinian engineer kidnapped from Ukraine, Dirar Abu Sisi, had his isolation extended for another six months by the Nazi occupation on 26 August. Abu Sisi’s health has recently deteriorated and he is suffering from severe pain in his lower back; he has been held in long-term solitary confinement repeatedly since he was abducted from a train by Nazi Jewish Gestapo intelligence forces. Abu Sis, 47, i is an engineer from Gaza who was abducted from the Ukraine on 19 February 2011 by the Mossad. He is married (to a Ukrainian citizen), the father of six children, and holds a graduate degree in electrical engineering. He was the deputy engineer of Gaza’s power plant. From Gaza, Veronika Abu Sisi, his wife, has continually advocated for his release and an end to his isolation. “We won’t give up until Dirar Abu Sisi is released,” Veronika Abu Sisi said in 2013. “They steal our land, they put us in jail, but we have the right to live here. This is our home. I just hope my husband will be back soon with me and our children.” The family has six children. Abu Sisi is now serving a 21-year sentence on charges of participating in the Palestinian resistance in Gaza and continues to be subject repeatedly to solitary confinement and isolation. Posted on 25 August 2017. Tags: Is global warming a reality? You’re not going to solve the world’s problems with false information. In the last few weeks President Donald Trump has gone through a series of defining moments in which his disturbing rhetorical reactions to historical developments have opened a window on his sense of the world and the nation. Let’s pick up the story on Friday 11 August. On that day the New York Times (NYT) announced “Conservatives relish the ‘fury’ in Trump’s talk”. A blurb for the article said, “Fans of tough rhetoric see a promised kept”. The reference was to Trump’s suggestion that he would respond to any North Korean aggression with a counterattack of “fire and fury”. Maybe he would even consider a pre-emptive strike. The “fire and fury” talk seems to have been a spontaneous, uncensored display of what President Trump would do to North Korea if not precariously held in check by select others – perhaps certain Republican Party leaders and military advisers – who will now try to sublimate the president’s belligerency into a new strategy for Afghanistan. As is typical of spontaneous responses, the “fire and fury” outburst was contextualised not by historical facts or thought-out policy, but rather by the uninhibited personality of the responder. At this point it should be noted that it has taken centuries to mature a set of diplomatic rules and practices which even now only just manages to keep the aggressive behaviour of most nation-states in check. To see the president of the United States treat that history as if it meant little is chilling. Just as chilling is the response of the president’s “base”. … the “fire and fury” outburst was contextualised not by historical facts or thought-out policy, but rather by the uninhibited personality of the responder [i.e. Donald Trump]. Trump’s belligerent rhetoric exhilarated his “die hard” (pun intended) supporters, who obviously have the “bring ‘em on” attitude made famous by George W. Bush. The NYT kept referring to this group as “conservatives” who saw Trump’s aggressiveness as a “promise fulfilled”. Many of them proclaimed that they did not fear a nuclear war with North Korea because, living in places like Colorado, Arizona and Georgia, they saw themselves sufficiently isolated from the danger of nuclear attack and, apparently, to hell with other Americans – particularly those cursed city dwellers. Among those exhilarated by the president’s words was “the conservative pundit Rush Limbaugh”, who proclaimed that the US finally had a real man in the White House after eight years of Barak Obama, whom he referred to as a “pajama boy who wears mom jeans who can barely throw a baseball”. The NYT is wrong in its “conservative” attribution. What is revealed here is not conservatism, which by definition implies a certain reserved and disciplined posture. What the NYT was really describing is the behaviour of right-wing extremists, from the president on down. This fact was confirmed on the following day. On Saturday 12 August, white supremacist groups ranging from the Ku Klux Klan to neo-Nazis showed up in Charlottesville, Virginia, to demonstrate against the removal of a Confederate monument, and ended up in violent clashes with counter-demonstrators. Both sides stand for easily recognisable, if somewhat stereotypical, opposing cultural programmes: the white supremacists demand a white-dominated America with archaic racist values, segregation and the elimination of any ethnic programmes of upper mobility or immigration policies that might cause a threat to white privilege. The counter-demonstrators stand for an America of greater diversity, equal opportunity, desegregation and an array of other progressive values. President Trump was slow to react to the Charlottesville violence. Perhaps he was initially rendered speechless at witnessing a truly “deplorable” subset of his “base” suddenly showing up at a broadcast riot in a Virginia college town. How would the real Trump respond? He ended up hedging. Under great pressure from both Republicans and Democrats, Trump begrudgingly condemned klansmen and neo-Nazis as “bad people” but simultaneously insisted that (1) also demonstrating on the side of the bad guys were a lot of “very fine people” and (2) both sides must be blamed for the violence. Though he and his advisers might not have realised it, in the eyes of the greater public Trump’s position put him, de facto, on the side of the Klan and the neo-Nazis. The Ku Klux Klan and various similar groups have always been extremist expressions of a broader, historically rooted, racist expression of American culture. This cultural “ideal” is juxtaposed against a more cosmopolitan, open and liberal America. Up until the time of the US Civil War, racist culture predominated, with its most extreme expression being in the slaveholding south. After the Civil War, that territorial stronghold was destroyed, and despite the ultimate failure of “reconstruction” the culture of racism began a long and very slow decline. However, it has never disappeared entirely and what happened in Charlottesville tells us that this reactionary vision is capable of at least a temporary resurgence when given political encouragement. That is what President Trump’s this-is-the-real-me response has done. In the last few weeks Donald Trump has shown himself willing to almost offhandedly ignore 200 years of the world’s diplomatic history and decades of his own nation’s progressive cultural development. This display of historical ignorance and spontaneous stupidity reminds one of Edmund Burke’s warning against men with “intemperate minds”. It has also drawn ever more sharply the cultural divide now facing the United States. Do Americans really want a return to the racism signified not only by the Klan and its ilk, but also by the ongoing upsurge in police violence against African-Americans? Do Americans really want a reaffirmation of a monopolistic white culture that, through Trump’s immigration policy, would destroy the historical contribution of numerous ethnic groups in making a progressive multicultural society? Most Americans, if pressed to take a side, would probably stand against the real Donald Trump revealed by these recent defining moments. However, in order for them to effectively take that stand, there needs to be a political alternative – an institutional choice that allows for the political defeat of the right-wing radicals. When we look around for that alternative, all we find is a dysfunctional Democratic Party, which, under its present leadership, has proven incapable of checking the reactionary trend besetting the nation. So, the US is in both political and cultural limbo. Its citizens are left asking if Donald Trump’s defining moments will also define their own future. Delcy Rodríguez, presidenta de la Asamblea Nacional Constituyente (fila anterior, centro-izquierda) y otros miembros de la ANC durante su toma de posesión. Mientras que la nueva Asamblea Nacional Constituyente procede a asumir poderes legislativos y a restaurar la estabilidad tras meses de violencia encabezada por la oposición, funcionarios de los EE.UU. están elevando el tono de sus amenazas en contra de Venezuela, incluyendo la posibilidad de una intervención militar. Con esta “dictadura,” se refiere a la campaña rápida y decisiva por parte del Presidente Nicolás Maduro, del Partido Socialista Unido de Venezuela y sus aliados, de movilizar a millones de personas a favor de una nueva constitución y un proceso radical para empujar la revolución bolivariana hacia adelante luego de meses de estanque. Tras la elección el pasado 30 de julio de 545 miembros progresistas para la formación de una nueva Asamblea Nacional Constituyente, en un voto popular en el que participaron 8 millones de votantes, Maduro y las fuerzas revolucionaras han estado actuando decisivamente para romper el atolladero de 3 años generado por la Asamblea Nacional, encabezada por la derecha. Después del Primero de Mayo, en vísperas de la elección del 30 de Julio, hubieron campañas a lo largo del país y 6,120 candidatos fueron nominados para la ANC. De esta cifra, 545 fueron elegidos para formar parte de la ANC. Dos días después, Trump acusó a Maduro de “dictador” y sancionó a unos 20 líderes Venezolanos, incluyendo al presidente. Los partidos de oposición boicotearon la elección de la ANC, rehusandose a postular candidatos, dejando al nuevo cuerpo legislativo casi por completo en manos de progresistas quienes apoyan a Maduro y a la revolución bolivariana: trabajadores, jóvenes, personas indígenas, y organizaciones de base. La ANC posee amplios poderes, los cuales le permiten proponer enmiendas a la constitución, sujetas a un referendo, y de supervisar otras operaciones gubernamentales, incluyendo funciones legislativas. El Viernes 18 de Agosto, la Asamblea Nacional (AN) nuevamente rechazó la invitación de la ANC a delegados de la AN para reunirse en una sesión conjunta de coordinación. Delcy Rodríguez, presidenta de la ANC, aseguró que la AN no se ha disuelto, pero que debe trabajar conjuntamente con la ANC. La ANC ha emprendido nuevas acciones en agosto. Una Comisión para la Verdad, la Justicia, la Paz y la Tranquilidad Pública ha sido establecida por la ANC para asegurar justicia para las víctimas de la última ola de violencia terrorista librada en las calles que ha dejado a más de 125 muertos, amenazando la estabilidad del país. La comisión también anunció que aquellos que hubieran sido procesados bajo juicio militar debido a la intransigencia del antiguo Procurador General contrarrevolucionario ahora serán procesados en tribunales civiles. La ANC también ha anunciado que las elecciones para gobernadores serán adelantadas de diciembre a octubre este año, acortando el plazo para darle menos tiempo a la oposición para sabotear el proceso electoral. Los partidos políticos de la contrarrevolución que constituyen la Mesa de la Unidad Democrática (MUD), se encuentran divididos en cuanto a qué postura tomar hacia las elecciones regionales, convocadas para octubre. El partido de extrema derecha Vente Venezuela, encabezado por María Corina Machado, anunció su separación de MUD esta semana, al igual que su intención de boicotear las elecciones y de realizar un llamamiento a la acción directa para derrocar al presidente Maduro. Machado condenó a otras figuras de la oposición como Ramos Allup y a los partidos Cuentas Claras y Progreso por acceder a postular candidatos a gobernador. Desde diciembre del 2015, con su victoria electoral, la AN dominada por la oposición ha intentado ejercer su poder legislativo para desmantelar leyes progresistas aprobadas durante los años de la presidencia del líder revolucionario Hugo Chávez y de Nicolás Maduro. Mientras tanto, la crisis económica se ha profundizado debido a una inflación por las nubes y precios de petróleo deprimidos, sumado a una guerra económica librada por importadores monopolistas y corporaciones y gobierno estadounidenses. La crisis ha conducido a la escasez de alimentos y de otras necesidades básicas, y a un descontento generalizado. Esto es parte de lo que motivó la impactante victoria de la derecha en la AN. Con la legislatura en desacato, con muchos de sus líderes apoyando una contrarrevolución abierta, el imperialismo de EE.UU. trabajó intensamente este año para montar varias sesiones plenarias de la OEA con el motivo de aislar a Venezuela. Estos intentos por parte de EE.UU. fracasaron por falta de una mayoría de dos tercios. Mientras tanto, los medios en EE.UU. han lanzado una cobertura ardiente, presentando a Venezuela como un Estado malogrado. Para restaurar la gobernabilidad del país y para apaciguar la violencia, Maduro ejercitó el mecanismo constitucional de la Asamblea Constituyente. Esta capitulación ignora el hecho de que en este momento sólo hay dos opciones para Venezuela. Lo que enfrenta el país es por un lado la guerra económica y política continua por parte de la clase capitalista de Venezuela, fuertemente apoyada por el imperialismo estadounidense, la cual conduciría a una desestabilización irreversible y golpe de estado de derecha, y/o intervención militar estadounidense. Cualquiera de las dos conduciría al desmantelamiento de programas sociales vitales que han ayudado a millones de pobres en Venezuela, al igual que de las instituciones de poder popular que le han otorgado a los trabajadores y a la gente oprimida por primera vez una voz para decidir su propio futuro. La otra opción para los revolucionarios venezolanos es luchar para acabar con el estanque que hasta ahora le ha permitido a la derecha crecer. Cada acción por parte de la Asamblea Nacional de carácter contrarrevolucionario en sus 20 meses de existencia ha sido para desmantelar leyes progresistas, ya sea para intentar privatizar las grandes reservas de petróleo de Venezuela, o para intentar utilizar la trampa de otorgar derechos de “propietario de vivienda” a las 1.3 millones de casas construidas gratuitamente con la intención de destruir el carácter socialista del programa de viviendas bolivariano, o para intentar expulsar unos 13,000 médicos cubanos con fin de eliminar la atención médica gratuita de la que millones de venezolanos han disfrutado. Estos serían apenas sus primeros pasos. 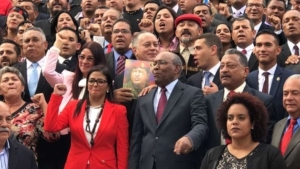 Los conspiradores de derecha en la AN son los mismos que ayudaron a organizar el golpe de estado fascista del 2002 que derrocó de manera temporal al presidente Hugo Chávez. Lejos de defender los derechos democráticos de los venezolanos, tomaron acción en un plazo de horas para abolir el Parlamento y la constitución de 1999 y declararon ley marcial. Fue sólo gracias a la movilización masiva del pueblo y la del ejército leal a Chávez que lucharon y fueron capaces de restaurarlo en el poder, lo que permitió la supervivencia de la revolución bolivariana. El resultado de la lucha actual impactará a América Latina y más allá. 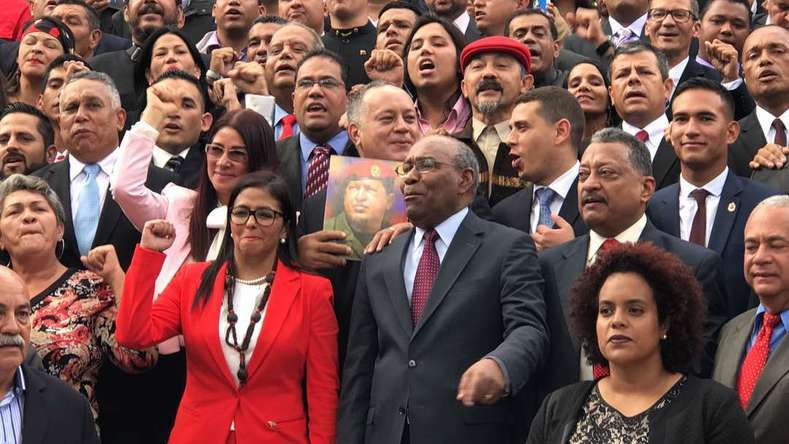 Es más importante que nunca que toda la gente revolucionaria y progresista se solidarice con el presidente Maduro, con el PSUV y con la revolución bolivariana en contra del imperialismo y de reaccionarios domésticos. Statue of V.I. Lenin in Fremont neighborhood of Seattle. On August 17, seven rightwing protesters made a short appearance to demand the removal of a bronze statue of V.I. Lenin standing in the Fremont neighborhood of Seattle. The anemic display was quickly dubbed “the world’s saddest protest” in online commentary. Meanwhile, a petition for the removal of a Confederate monument in a Seattle cemetery had reached nearly 5,000 signatures. 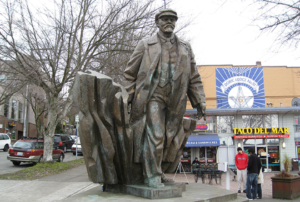 It should be noted that the Lenin statue is a much-loved piece of public art in Seattle, even by those who are not particularly friendly to the ideals it represents. This sort of false equivalence is a grave injustice to the memory of V.I. Lenin, to the achievements of the Soviet Union, and to the worldwide struggle for the liberation of humanity that communism represents. The statement is also a boon to the fascists and white supremacists who are attempting to protect Confederate monuments across the U.S., since it lends credibility to their tenuous claim that they are protecting the “history” represented by the monuments, rather than their legacy of racism. Statements such as this one by Murray echo those of Pres. Donald Trump. As thousands take to the streets in cities across the country in efforts to counter the increasingly bold “alt-right,” Trump has on more than one occasion drawn an equal sign between the violent and genocidal white nationalists and those–including countless communists and socialists– who are determined to stop them. This represents an attempt to neutralize the moral high ground occupied by anti-racist and anti-fascist leftists by demonizing them, while elevating the fascists themselves as defenders of a core democratic principle rather than belligerent white nationalists. The extreme right is treated as a perverse demonstration of American virtues to be either tolerated or embraced, while leftists are slandered. The anti-capitalist and anti-imperialist stances of those on the left represent a direct threat to the U.S. capitalist class and their interests, whereas rightists present in the demonstrations in Charlottesville, Boston, Seattle and elsewhere invariably applaud both imperialist war and the racism that supports it. The recent statement by Murray is merely one more example of a position which is actually shared by the ruling class across the U.S.–moral platitudes notwithstanding. If we take an empirical view, we see that upholding the veneration of genocidal slave masters cannot possibly be equated with the celebration of a peoples’ hero. The Confederate monuments that are now being torn down across the country are dedicated to those who fought tooth and nail for a regime of white supremacy and unflinching brutality. By stark contrast, communists the world over continue to struggle for the emancipation of the working class and oppressed peoples, and for a final victory over bigotry in all its forms. To treat them as equal cannot be justified. You will probably not believe it, but in the Balkans the lack of rule of law and the tolerance of corruption have some fun aspects. This is the case with the theft of the most contentious reform in Croatia by … Montenegro. No, this is not a joke and it’s not a product of a local satiric site. This is about word-for-word copying, with the Montenegrin language features at that, of the proposal for a comprehensive reform of the content of school textbooks, which is currently under violent disputes in the Croatian public domain and even threatens the survival of the government. To find out the magnitude of the irony in one case and the tragedy in the other, we need to rewind the tape a little bit. 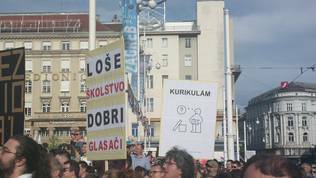 Who [in their right mind] in the Balkans protests about an educational reform? The Croats. 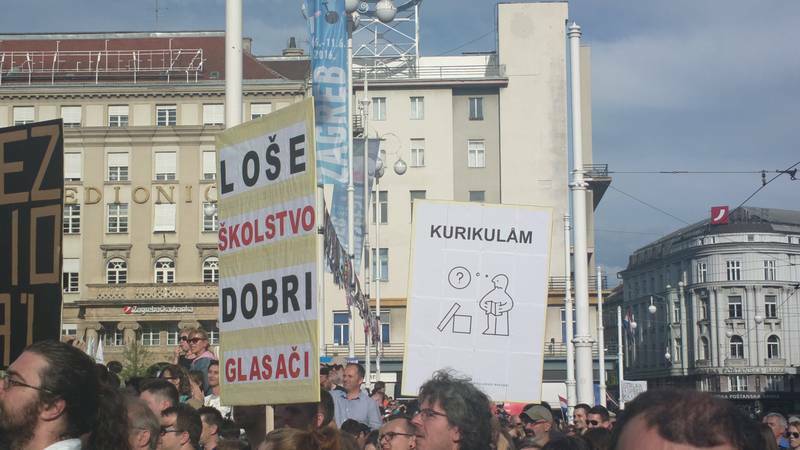 Last year, when the government of the then highly-conservative Croatian Democratic Union (HDZ) came to power, over 50,000 Croats protested in several cities across the country against the attempts to scrap the highly progressive and bold educational reform known as “curriculum reform”. The reform was prepared by an expert workgroup of 500 people led by the young doctor of science Boris Jokić. The group was formed by the then left-liberal coalition government of Zoran Milanović. The idea for a ​​comprehensive education reform is embedded in a strategy voted in by the Croatian Parliament in 2014. With the coming to power of the HDZ, then under the leadership of Tomislav Karamarko – a conductor of ultraconservative and nationalist policies – there were attempts ideologically burdened people to be appointed. The sharp turn of Karamarko’s HDZ to the far right, accompanied by brutal changes in the leadership of the national TV and radio, the Council for Electronic Media, and other activities pushing Croatia toward the illiberal group of Poland and Hungary, has led to significant quakes on the political arena and ultimately resulted in the fall of the government. Karamarko was replaced by former MEP Andrej Plenković, who promised to return the party to the centre-right of the political spectrum. He also promised many reforms, thanks to which he won the snap elections last September. Alas, one year later there are no reforms, and the first major challenge – the financial problems of the largest conglomerate not only in Croatia but also in the region of former Yugoslavia Agrokor – shook the government coalition. New snap elections were avoided after the liberal Croatian People’s Party (HNS) agreed to take part in government, but on condition that the reform started by Boris Jokić is implemented. Andrej Plenković agreed to the horror of the liberals themselves, whose party split into two, but also to the more conservative wing in the HDZ, who insisted education remain in their portfolio. 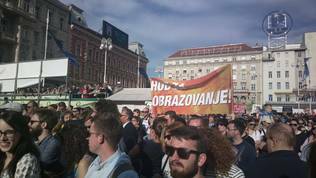 This happened after an anniversary of last year’s protests was celebrated on June 1st, and in the centre of Zagreb, a few tens of thousands gathered again to confirm their demand for an education reform. The nonpartisan Blaženka Divjak was appointed minister of education. Her attempts to implement the reform are currently the biggest political drama in Croatia after a news website with a focus on education revealed that behind-the-scenes attempts had been made to replace the reform plan by the leader of the expert group appointed by the previous government. According to Croatian media, the tension in the cabinet has already reached a boiling point and now the main question is whether Mr Plenković will fire the education minister or let her work, meaning he will have to deal with internal party tensions. Pressure on the prime minister by media and civil society is enormous. At the same time, his reluctance to say clearly who does he support in this inherent ideological conflict is obvious. He was, however, adamant in his reluctance to see new protests. For many, at least in the Balkans, education is probably not the most important topic, although it is, in fact, vital in the Croatian context. First, in an ideological sense, it is important because if it is implemented, it will tear the country away from Church-sponsored conservatism, which is often intertwined with nationalism. In the economic sense, it is no less important, as Croatia is currently suffering from a serious brain drain. 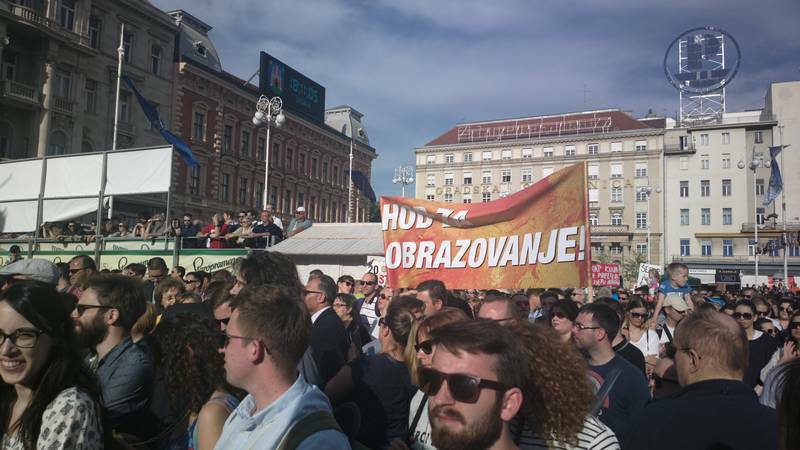 It is no accident that the organisers of the educational protest this year organised also a procession to Zagreb’s central railway station to symbolise the departure of young Croats. It is precisely because the stakes of educational reform are too high for Prime Minister Plenković that everything surrounding it is so non-transparent. Moreover, following Donald Trump’s lead, the prime minister threatened to deal with those responsible for leaking insider information about changes to the reform plan rather than deal with the reform itself. Who will get the reform? The people of Montenegro. On Tuesday, the Croatian daily Jutarnji list revealed that the Montenegrin education institute has stolen verbatim the contents of some parts of Boris Jokić’s curriculum reform. Plagiarism was discovered by accident by Croatian primary school teacher Ljiljana Hanžek, who worked on writing the reform. The Montenegrin Ministry of Education refused to comment on the case at this stage, but the education institute told Cafe del Montenegro news website that the Croatian document had been borrowed, but for technical reasons citing what Croatian literature was used had been omitted. The case became an occasion for paraphrasing the well-known jokes about Montenegrin laziness: “The Montenegrins are lying down waiting for the Croats to make their reform”, Croatians joked on social networks and the media. However, the authors of the curriculum reform are not laughing. At first, former expert group leader Boris Jokić reacted with mockery by saying that at least Montenegrins would benefit from the reform but he now believes Montenegro must pay royalty fees. Montenegro’s interest in Boris Jokić’s reform can finally provide Andrej Plenković with some insurance against internal party criticism. Conservatives in his party will find it increasingly difficult to explain to their voters and to taxpayers in general why they are opposed to such a valuable reform that has pulled out 50,000 people in the squares and has been the subject of theft by an official body of a neighbouring state. It will be a real shame for HDZ to reject a document that is considered of such a high quality by other countries. In the end, it may just turn out that Montenegro, with its plagiarism, will do a service to Croatia for which it should be rewarded, rather than made to pay compensations. Education is one of those words that has a positive connotation for almost everyone – usually generating a warm and fuzzy feeling that suggests a richer and brighter future. But that is just an idealisation of the concept. As I have stated before, as far as the state is concerned, education has two major purposes: to fulfil the vocational needs of the economy and the political need for ideologically loyal citizens. It is in the pursuit of this last goal that education can reveal a darker side. 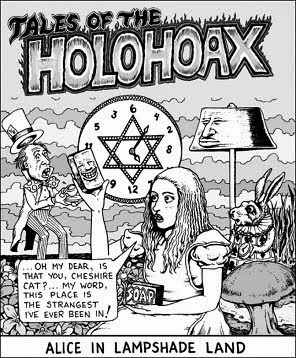 David Sarna Galdi is an American Jew who attended Jewish schools in New York City, went to Jewish summer camps, attended synagogue regularly and often spent his holidays in Israel with his parents. In his own words, he had “a quintessential Zionist Jewish-American upbringing” and, as a result, “I never heard one word about the [Israeli] occupation [of Palestinian territory], or even the actual word, ‘occupation’”. Only after immigrating to Israel did he “become aware of the occupation and all its ramifications”. The Israeli occupation is 50 years old and ongoing. Can Galdi’s story really be true? It certainly can be true if you grow up within a closed information environment – an environment where elements of non-local reality are simply left out of the educational process. That seems to be the case when it comes to Zionist Jewish-American education. Holocaust Memorial Day in Israel, which this year was on 24 April, is a time for remembering the holocaust and learning its historical lessons. Yet there are two ways of approaching those lessons: one is universal and the other particular. Most of Israel’s educational system has chosen to forgo the universal message of the need to promote human rights and stand up against oppression wherever it is practised. Instead, the particularistic message Israeli schoolchildren have always received is that the Jews are eternal victims. Indeed, “Israel and its strong army are the only things preventing another genocide by non-Jews”. Again, the key to such a process of indoctrination embedded within the educational system is the maintenance of a closed information environment. As one Israeli educator, who has grown uneasy with the propagandistic nature of his nation’s schooling, puts it, “increasingly they [the students] receive no alternative messages in school”. Finally, let us take a comparative look at two reports on Israel’s educational system. One is a 2009 Palestinian report (PR) entitled “Palestinian history and identity in Israeli schools”. The other is a 2012 report (IS) produced by the Institute for Israeli Studies at the University of Maryland and is entitled, “Education in Israel: The challenges ahead”. What strikes the reader of these reports is how much they agree on the nature of specific problems having to do with the education of minority groups in Israel. (1) Both the IS and the PR reports agree that the Israeli educational system is at once a segregated and highly centralised affair controlled by the Israeli government’s Ministry of Education. As a consequence, according to the IS report, “Arab schools are significantly underfunded compared to Jewish schools”, and this is reflected in an unfavourable “differential student-teacher ratios in Arab schools” (IS report, p.12). The PR adds the following information: “Public education for Palestinians [one quarter of all students in Israel] is administered by the Department for Arab Education, which is a special administrative entity within the Ministry of Education and under its direct control. The Department for Arab Education has no autonomous decision making authority” (PR, p.(1). (2) As described in the IS report, because curriculum in Arab-Israeli schools is controlled by the Ministry of Education, sensitive subjects such as Palestinian history are censored (not allowed to be “openly discussed”). The PR elaborates: Israeli textbooks are highly selective in their “choice of facts and explanations, ignoring contradictory arguments, especially facts connected to Arab-Palestinian history”. Ultimately, “they erase modern Palestinian history” (PR, p.1). Arab-Israeli students are forced, at least superficially, to absorb a Zionist interpretation of history because without being able to repeat it on their graduation examination they cannot successfully finish high school. Palestinian students do, of course, know their own version of history, which they get from numerous non-school sources. However, the Israeli Jewish students also are deprived. They are systematically kept away from this same Palestinian narrative – one ardently believed in by over 20 per cent of their nation’s population. Under these circumstances, as the IS report points out, “national cohesion” is hard to build. The IS report recommends “strengthening within the schools the democratic and pluralistic view embodied in Israel’s Declaration of Independence, focusing on building shared values and acceptance of diversity. To strengthen communal understanding and build a stronger common identity” (IS, p.21). Unfortunately, these recommendations are impossible to implement, and I suspect that the authors know that this is so. In the case of Israel, education has been subordinated to ideology to such an extent that it cannot promote diversity, shared values and a common identity with non-Jews. Thus, given the Zionist ethic as practised by Israelis and their diaspora supporters, the Palestinian identity and values are anathema and represent threats. Thus, the IS recommendations become the equivalent of taking poison. Any ideology represents a closed information environment. By definition it narrows reality down to a limited number of perspectives. Ideology also invites hubris, rationalised by nationality or religion and their accompanying peculiar take on history. It becomes the goal of an ideologically managed educational system to promote political loyalty and the hubris it seems to justify. The current terminology for this condition is “exceptionalism”. According to Aristotle, “it is the mark of an educated mind to be able to entertain a thought without accepting it”. Thanks to the Zionist educational system both in Israel and the diaspora, there are many otherwise educated Jews who cannot even entertain the thought of shared values and common identity with Palestinians. According to Martin Luther King, Jr, “The function of education is to teach one to think intensively and to think critically.” In an ideal situation that may be true, but in practice it runs against the historical political mission of post-industrial educational systems. Finally, one might consider this observation by Albert Einstein: “Education is what remains after one has forgotten what one has learned in school.” This is a welcome insight, yet the problem is that relatively few people forget the political and cultural imperatives of their education. Those who do, including Einstein himself, are often considered by their fellows as “social mistakes”. Now we know why it is so hard for Israelis to embrace the imperatives of peace, or for the rest of us to go beyond our present era of nation-states, be they democratic or otherwise. Our self-destructive stubbornness is a function of a successful, ideologically managed education.